Presented by:- Shah MD. Musahid Ali. H.T. Bahubal Govt. Primary School. Bahubal, Habigonj. M.no-01711473526 Presented by:- Shah MD. Musahid Ali. H.T. 3 Class-Five. Subject:-English. Lesson:-13. Common Birds of Bangladesh. 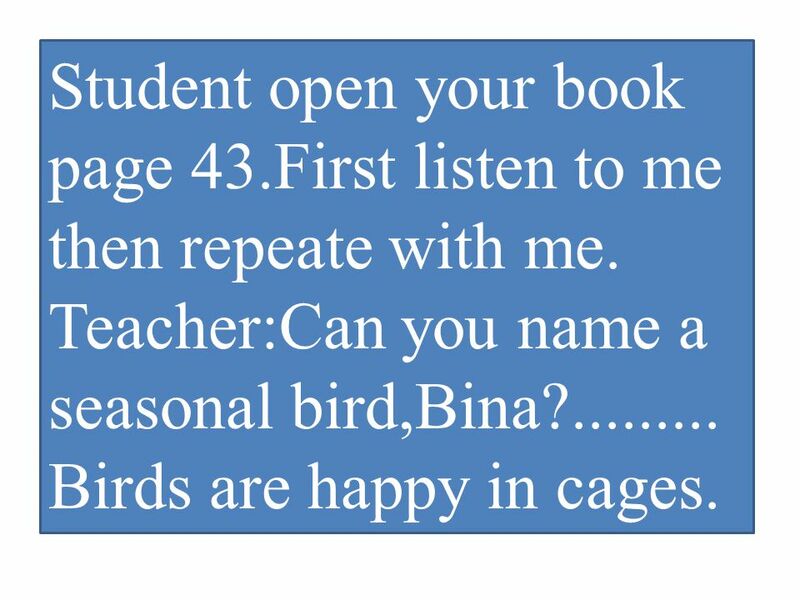 Parts of lesson:-(2)Teacher:Can you name a seasonal bird,Bina?.....…………………………………… …………………………………… …............birds are happy in cages. 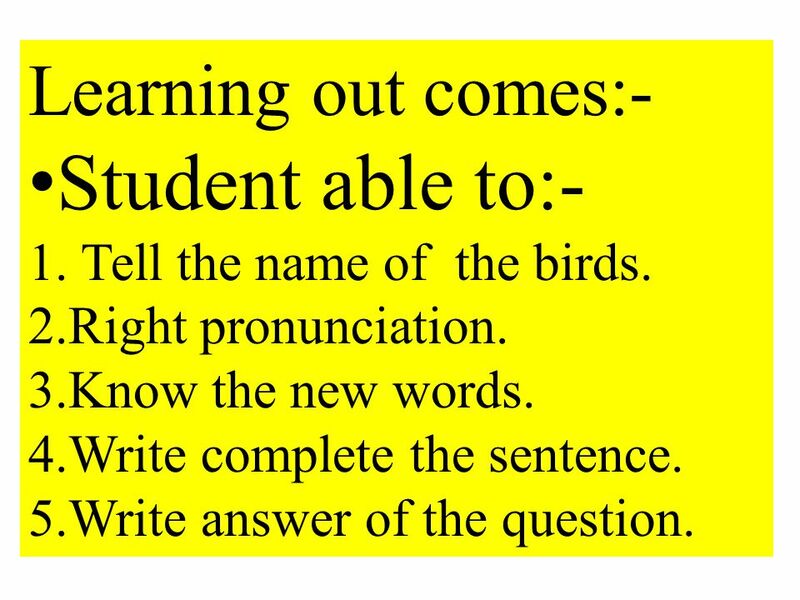 4 Learning out comes:- Student able to:- 1. Tell the name of the birds. 2.Right pronunciation. 3.Know the new words. 4.Write complete the sentence. 5.Write answer of the question. 5 T:Good morning,students. How are you? Ss:We’re fine,thank you. How are you,teacher? T:I’m fine too.Thank you. Let’s start now. T:Good morning,students. How are you? Ss:We’re fine,thank you. How are you,teacher? T:I’m fine too.Thank you. Let’s start now. 6 1.Seasonal bird.2.See in the spring. 3.Live in trees.4.see everywhere. 7 1.Live in the house. 2.Common bird. 3.See everywhere. 4.Small bird. 8 1.Beautiful bird. 2.Live in the house as pet. 3.Cages at pet.4.Don’t happy in cage. 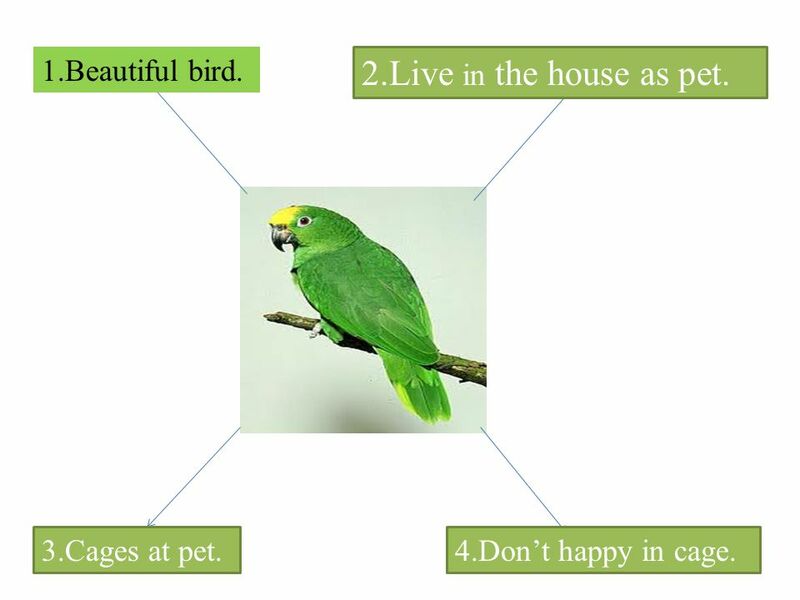 9 1.It is a pet bird.2.Live in our house as pet. 3.Don’t happy in the cage. 4.A beautiful bird. 10 Student open your book page 43.First listen to me then repeate with me. Teacher:Can you name a seasonal bird,Bina?......... Birds are happy in cages. 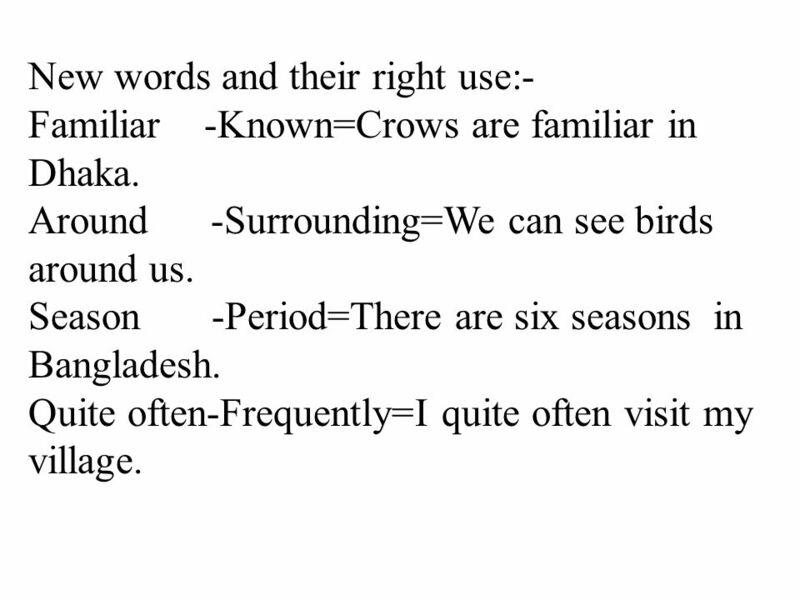 11 New words and their right use:- Familiar -Known=Crows are familiar in Dhaka. 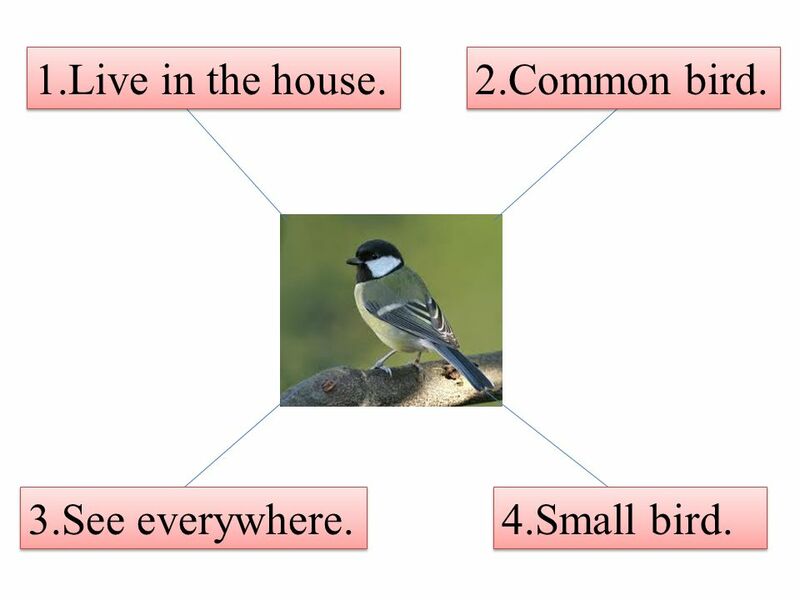 Around -Surrounding=We can see birds around us. 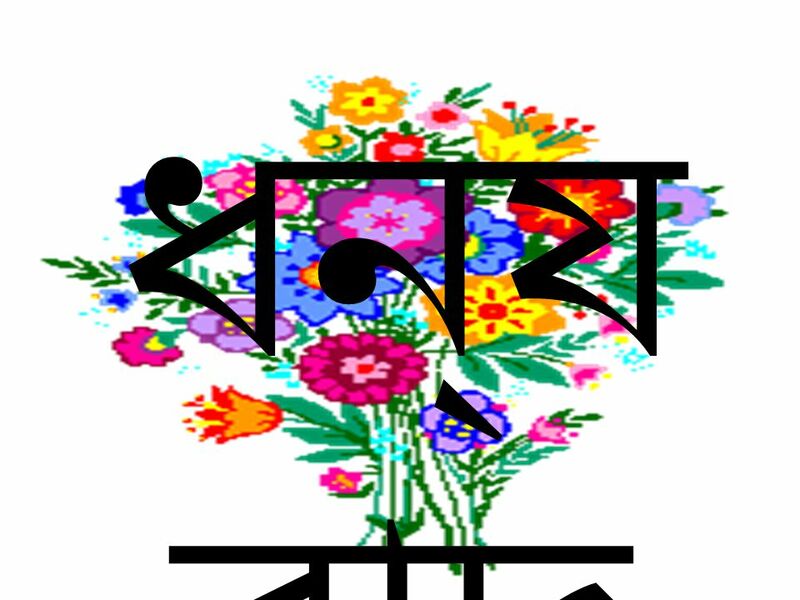 Season -Period=There are six seasons in Bangladesh. Quite often-Frequently=I quite often visit my village. 12 Now read the lesson 13. 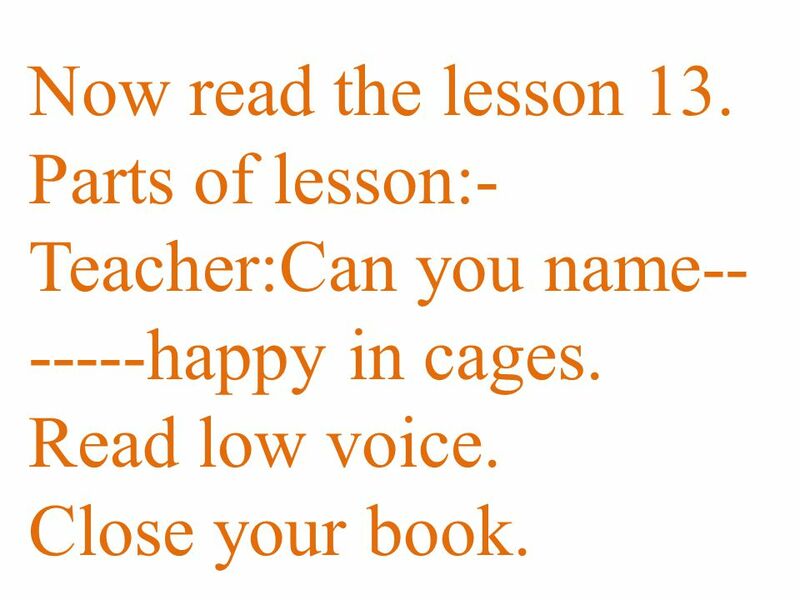 Parts of lesson:- Teacher:Can you name-- -----happy in cages. Read low voice. Close your book. 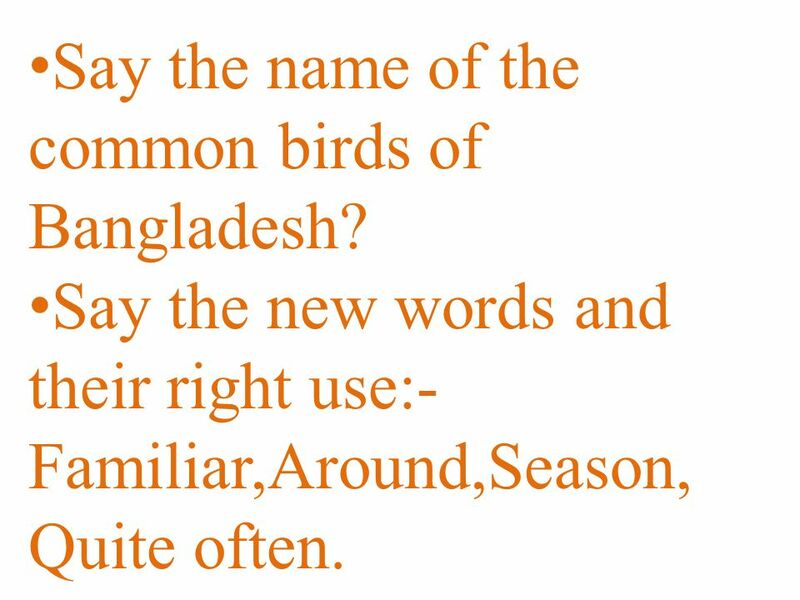 13 Say the name of the common birds of Bangladesh? Say the new words and their right use:- Familiar,Around,Season, Quite often. 14 Write new words and their right use:- Familiar,Around,Season,Quite often. 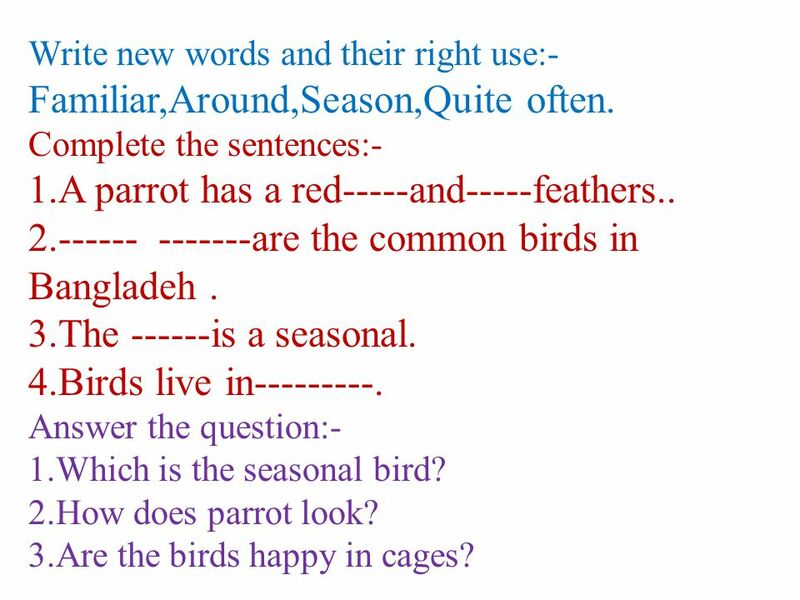 Complete the sentences:- 1.A parrot has a red-----and-----feathers.. 2.------ -------are the common birds in Bangladeh. 3.The ------is a seasonal. 4.Birds live in---------. 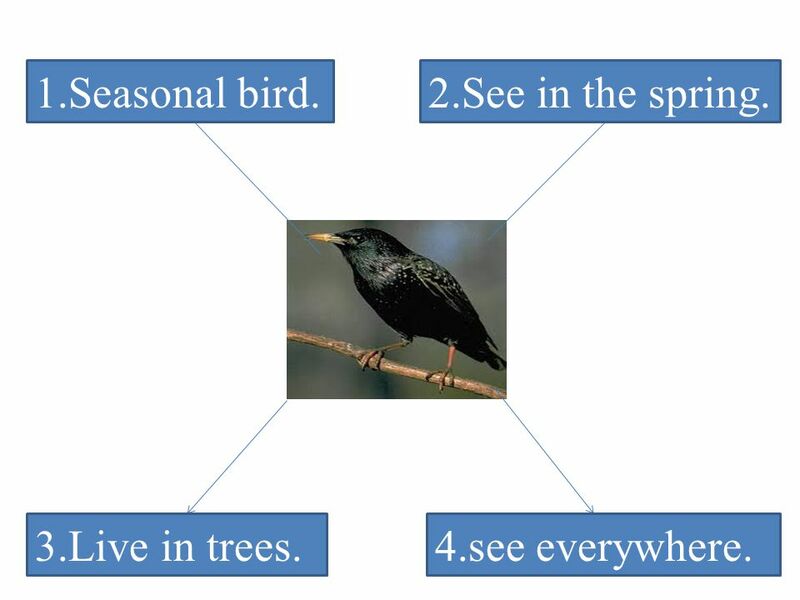 Answer the question:- 1.Which is the seasonal bird? 2.How does parrot look? 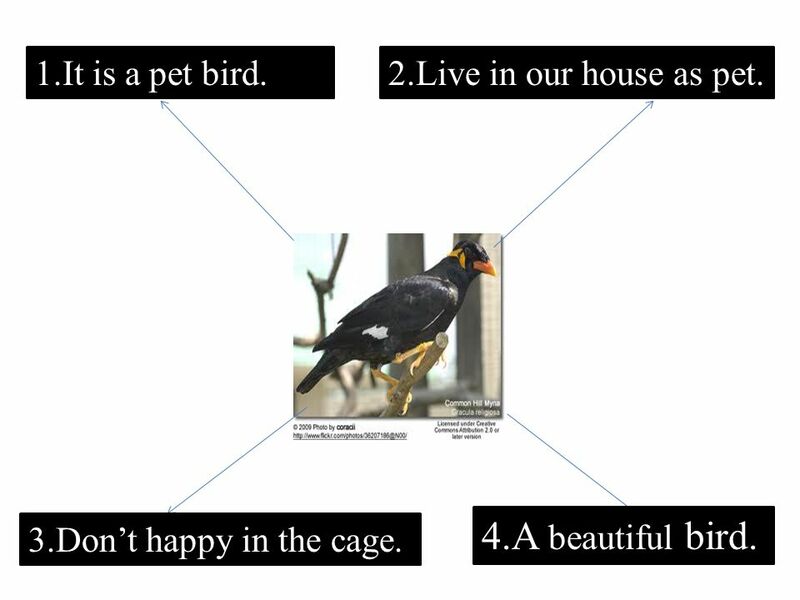 3.Are the birds happy in cages? Download ppt "Presented by:- Shah MD. Musahid Ali. H.T. Bahubal Govt. Primary School. Bahubal, Habigonj. M.no-01711473526 Presented by:- Shah MD. Musahid Ali. H.T." Subject: English Class: Four Lesson: 23 Subject: English Class: Four Lesson: 23 Anukul Roy Assistant teacher Debiganj Model Govt. Primary School Anukul. Good morning How are you ?. Sub: Eng. 2 nd paper Class: seven Sub: Paragraph Introduction Name: Md. Nowsad Ali Assistant teacher Maticopa High School. Welcome. Teacher’s Introduction Name: Md Osman Ali. Post:Assistant Teacher. School: Kana para Primary School. Bagmara, Rajshahi. Name: Md Osman Ali. Post:Assistant. WELCOME. Teacher and class Introduction Md. Asaduzzaman Computer teacher Mahainagar High School Jaipurhat sadar, Jaipurhat Class : Seven subject : English. Welcome. Teacher Identification Barsha Gupta Assistant Teacher Sundora Government Primary School Sadar, Dinajpur. Welcome. Shanta Paul Assistant Teacher Katabil Govt. Primary School Adorsho sodor, Comilla. Introducing Class: Four Subject : English. Introducing Class: Four Subject : English. Welcome. Presented by Salma Akter (Assistant Teacher ) Jalalpur Udayon Model govt Primary School Nawabgonj Dhaka. 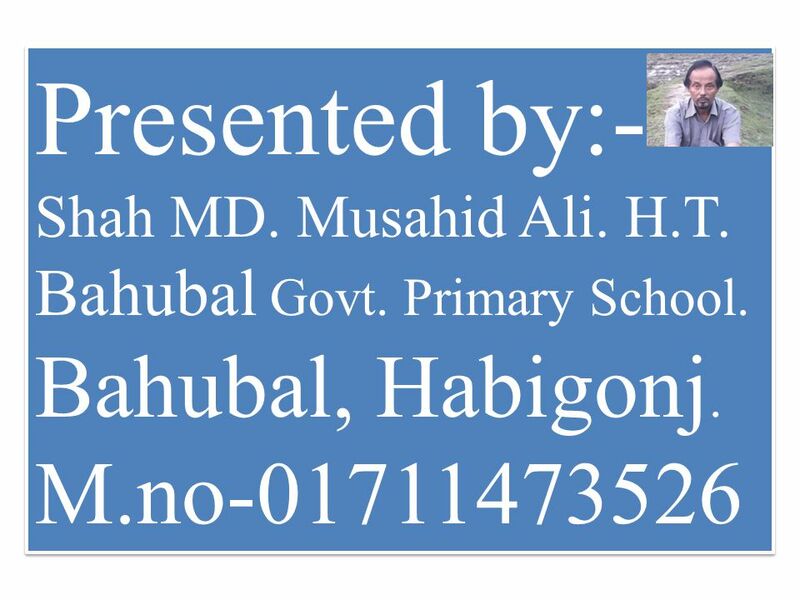 Mohammad Nasir Uddin Assistant Teacher Jhulonpole Govt. Primary School Mirsari, Chittagong. Identity Teacher: Shaikh Mojnur Rahman, Assistant teacher, Attaka Model Govt.Primary School, Fakirhat,Bagerhat. Class:Five Lesson:13 Lesson unit:A(Good. Md. Mabubr Rahman Assistant teacher Gabtali Model Government Primary School. Good morning. Introduce Nur jahan Assistant teacher Jangalbari Gov’t primary school Karimgonj. Class: Three Sub: English Unite: 10 Lesson title:My family. Welcome to all. Md. Nasir Uddin Assistant teacher Kismot Jafrabad Govt. primary school Mirsarai, Chittagong. Welcome. Presented by Rokeya Sultana Assistant. Teacher Purbo chor pakerdoho Govt primary School Mothergongj.Jamalpur. WELCOME. PRSENTED BY M.A.GAFFAR MIRPUR MODEL GOVT.PRIMARYSCHOOL. MIRPUR,KUSHTIA. 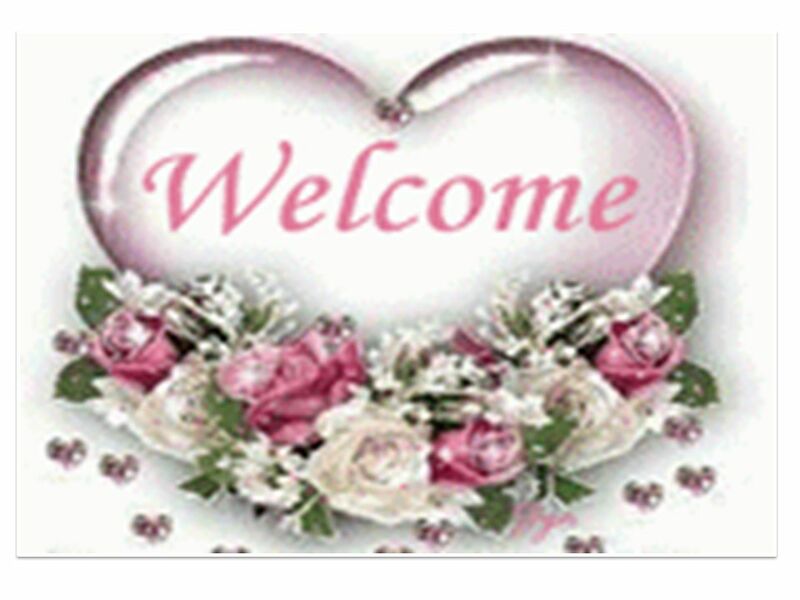 Welcome Congratulation to all.. Presented by Shah MD.Musahid Ali. Head Teacher. Bahubol Govt. Primary School.Bahubol, Hobigonj Presented by.